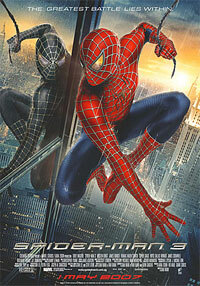 What is the Best Spider-Man Film? As the UK’s release date for Spider-Man Homecoming on DVD draws ever closer, otsoNY asked its resident comic-crazed expert Scott Hopkins to determine which of the six Spidey films is the best and for reasons why. Spiderman 3 is clearly the best example of when people making films just have given up on caring about the films they are making. It was too character heavy with Harry Osborne as the new goblin, sandman who for some reason the shoehorned into history by having him as the killer of Uncle Ben, and they took Venom, one of the best villains with a lot of film potential, and just made him look ridiculous with a too quick origin story, with very little character development. Overall, most people probably turned off when Peter Parker when Emo and started dancing down the street. This film was nearly as bad as Spiderman 3. Norman Osborne, one of the franchises best villains was killed off too early and was extremely underutilised, which meant that Harry Osborne was the new green goblin, in what I can only describe as the worst version ever to appear in comic, animation or screen. The actors who played Peter Parker, Harry Osborne and Mary Jane were badly cast and made me careless about them since the first film which was a feat in itself. I though Electro looked awful, and was for one minute this guy, got electrocuted and was then electro, no character development to make me care about him either. So glad they did not get to make a 3rd instalment. 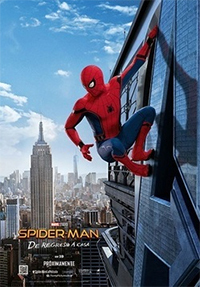 So Peter Parker, now cool instead of bullied geek, gets into a building to see a science demo and gets bitten by a radioactive spider and gains spider powers, then does not act when he should have and his Uncle Ben gets killed as a result. Hmmmm…. haven't I seen this somewhere before? I felt like I had been cheated in more ways than one, Tobey Maguire had been replaced by one of the most annoying actors to play Peter Parker ever and I was watching the same film....again. Casting again was mediocre, Lizard, although a good villain was moderately well executed. Action scenes were good, just wish Andrew Garfield was more geeky than cool, then perhaps the franchise may have fared better. The one that started it all. I thought that it could not get any better than this. 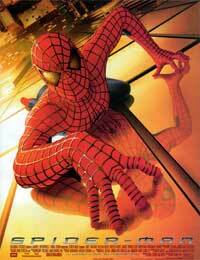 Peter Parker was perfect casting as was Mary Jane, and Harry Osborne. I thought Willem Dafoe was excellent as the green goblin, although the outfit was god awful after a few watches. Think the story first time round was a lot better, and developed well. All round an excellent start to the franchise. After seeing this new Spiderman debut in Civil War, I thought this interpretation of Spiderman was excellent, and beat Andrew Garfield hands down in the few minutes that he appeared in the film. This new film I think gave us a new interpretation that was more in line with the comics and played off really well with other characters. Michael Keaton was excellent as the vulture, and I though the fight sequences were really good, just wish that he had kept his outfit from Stark rather than his homemade effort. But still an excellent. 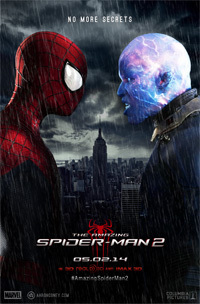 This one has it all, Tobey Maguire as Spiderman, an excellent villain with a back story and character development, Harry Osborne slowly becoming the goblin, and features all the characters moving on with their lives from the first film. 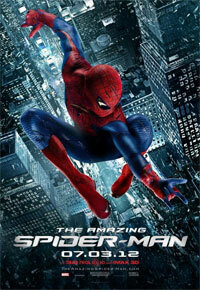 Action scenes are really exciting and non-stop, and the script and dialogue are excellent. They say the sequels always pale in comparison of the original, but this one breaks the mould. The sad thing for this franchise was that it could only go downhill, and it did and then some. Special thanks to Scott Hopkins for his opinions on the many Spider-Man films that have graced cinema screens since 2002. Film locations from Spider-Man Homecoming will be posted next week.